The oval Office, Parliament, Your home! All places where important decisions are made and democracy is prevalent, Why not have some doors to match your Presidential status in the home! 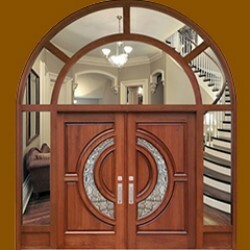 High end distinctive doors for homes with character and style. We transform doors beyond your dreams and desires to create an entrance way that is truly one-of-a-kind. Combined with the other elements of architecture, landscaping, lighting, and perspective, a luxury door will always stand out.